ACUPUNCTURE | IS IT THE BEST SOLUTION FOR YOU? 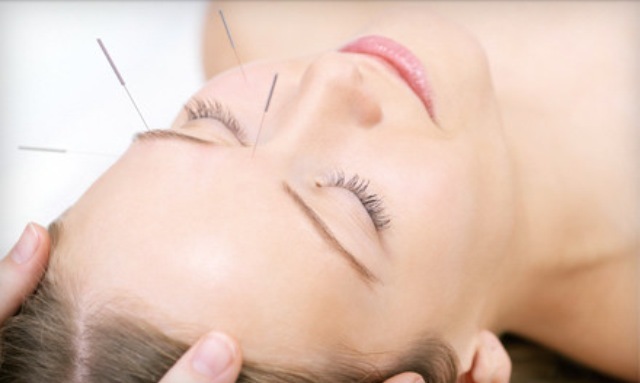 My professional goal is to offer the best Acupuncture in Ft Lauderdale. Over the past 10 years, I have provided acupuncture to many patients for a variety of health issues. For the physical pain of shingles, plantar fasciitis, tennis and golfer’s elbow, sciatica, knee pain, back and neck pain – both acute and chronic. For women’s health issues of fertility and infertility, menopause, menstrual disorders, PCOS and endometriosis. For stress, anxiety and depression. For digestive disorders and food allergies leading to inflammation and blood sugar issues. I have given acupuncture treatment to athletes – weekend warriors and on the Miami Dolphin football team. I have had straight up cases that healed quickly. I have taken cases where I’ve become a medical detective to help my patient. All in all, I can honestly say that Acupuncture and the Herbal medicines I give have been very successful with positive results. Is it the best solution for you? The best way to know is to try it for yourself. There is plenty of information on the web. You can talk to people you know. But ultimately, you will know when you try it. In my experience, my patients and I can know if it’s working by the 3rd visit, if not sooner. Fertility projects are different. Ideally those are 3 months of treatment before getting pregnant and 9 months for the final result! Here is a link to Acupuncture Today. They have great articles and resources for everything you might want to know about acupuncture and Oriental Medicine. Read on. See if the following information helps you decide. Also check my other pages and blog posts (more are coming) for specific information you might need. I invite you to come back and visit again. Acupuncture is about working with the bio-energetic aspects of the body. I work with biomedical energy. Here in the USA, Eastern medicine (acupuncture and Oriental Medicine) seems like a mystery to many. It’s very different from the common medicine of pharmaceutical drugs and surgery. If I were, however, to take you back to science class and reintroduce you to the atom and it’s protons, electrons and neutrons – you’d be right in the thick of energy and the core of life. Without energy, life does not exist! You cannot see this energy any more than you can ‘see’ how a cell phone transmits data. Remove this energy, however, and the body immediately dies – as will your cell phone. That being said, having the biomedical energies of the body in balance is equal to an great state of health. Yes, it’s that simple. A well-trained doctor of Oriental Medicine (sometimes called an Acupuncture Physician or acupuncturist) is dedicated to working with and understanding how the energy in the body flows through the acupuncture meridians. The ‘meridians’ are a ‘map’ of how bio-electricity flows throughout the body. The details of this mechanism are the subject of over 2000 years of study and scholarly manifests. It is the oldest, most documented and studied form of medicine known. Scientists today are performing studies to understand and scientifically prove this form of medicine. It has endured the test of time. Although some of this information might be available on the web, it takes a foundation of study (I have 4 years of specialized study, a Masters Degree in Oriental Medicine and over 10 years in private practice) to begin to decipher and master the intricate beauty of this medical system. Suffice to say that I would not be wasting my time doing something that does not stand true. Acupuncture therapy for your health and healing can become a personal practice. It offers a way to master one’s life and health. It’s about paying attention to how we eat, what we think about and pay attention to, and being ‘in tune’ with our bodies so we notice when something does not seem ‘right’. The investment you make in preventative care TODAY will return to you ten-fold in the FUTURE. True health is much more than not feeling ill. True health is about being and feeling your best in mind, body and spirit every day. It’s about having the physical energy and clarity of mind to create what you want in life and to get the most out of your daily life. Investing in preventative healthcare is about planning today for a healthy tomorrow. My goal as a physician has been to empower my patients with knowledge and self-understanding so they can better care for their bodies long-term. I often say ‘that way if you’re in a remote section of the world and you experience _____, you’ll know what to do to take care of yourself.’ Helping my patients learn to heal themselves is tremendously rewarding. Knowing that there are options to surgery and prescription drugs is very powerful. Certainly there are times that we need to go that route. Often however, taking care of ourselves before getting sick and looking for natural alternatives when we aren’t feeling well is the best choice to make. Drugs and surgery are likely the last resort in healthcare. Oriental Medicine and Acupuncture offer a fantastic option that can help keep you off toxic medications and out of the operating room. More importantly, it can help keep you in charge of your health – active and participating in your life! Check out this link explaining ACUPUNCTURE. INFERTILITY | What is it? After over a week of suffering serious sciatic pain I went to Dr. Lopez for help. The treatment was simple and actually relaxing. I felt immediate relief right afterward, and complete relief from the pain within 24 hours. I highly recommend her services.